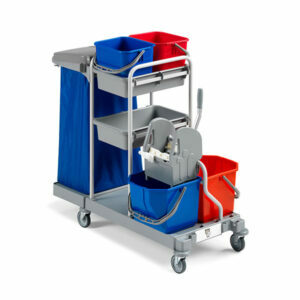 High quality range of maintenance trolleys available. If we don’t have your exact requirements please speak to one of our sales team. 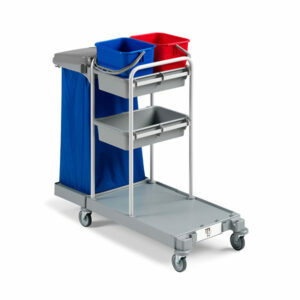 We can offer bespoke options to meet with your customers requirements. 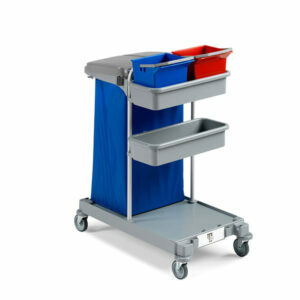 Stainless modular and multi-use trolley. Two 12 l. buckets, two central basins, Tec wringer, two 15 l. buckets. 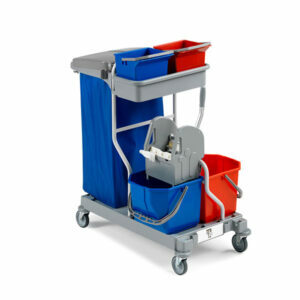 Suitable for waste collection and transport of products and tools to clean environments. Two 6 l. buckets, one central basins, Tec wringer, two 15 l. buckets.